I go through periods of being an avid tea drinker, and now is one of those times. We have an entire drawer at home stocked with different varieties. While I've been focused on writing my first book, I asked Ms. C to do some research on the health benefits of drinking tea and remind us why we should drink tea daily! Every November I go through the same thing. Now that the sun sets before 5pm leaving shorter days and longer, colder nights, I find myself reaching for something in the afternoon as a pick me up. Since winter has announced loud and clear that it has arrived and is here to stay for awhile, I turn to warm soothing teas to get me through winter days. Every morning I start my day with a cup of plain Earl Gray tea from my favorite street cart outside my office. When a friend commented on how she admired my taste for tea over coffee, I realized, we have all heard about how good tea is for us but we can’t always remember why. Here’s a brief reminder of why you should keep (or start) drinking tea daily! Tea has been celebrated as a healthy alternative to coffee not only because it has lower levels of caffeine, but primarily due to the presence of polyphenols found in the Camellia sinesis plant leaves that tea is made out of. Polyphenols are strong antioxidant chemicals that have the power to contain damaging free radicals and prevent them from attacking cells and promoting cancer growths. Vitamins and minerals are also present in tea leaves, adding to the list of health benefits of drinking tea. There are 6 main types of vitamins that are found in tea which all promote healthy regulation within the body; Vitamin B, Vitamin A, Vitamin C, Vitamin D, Vitamin E and Vitamin K. Further tea contains naturally occurring minerals Fluoride, Magnesium, Potassium and Zinc. Historically, Chinese medicine believes that tea can promote weight loss however research on this topic is mixed. The presence of caffeine in tea may increase metabolism which may help control obesity however studies do not overwhelming support this theory. White Tea comes from the buds and younger leaves of the Cameliia sinesis plant and is the least processed tea. The leaves are left to wilt in natural sunlight before being processed delicately to preserve their flavor. White tea has the least amount of caffeine of all teas and contains high levels of antioxidants. Green Tea is made from steamed leaves of the Camellia sinensis plant which partake in minimal oxidation during processing. Traditionally, Green tea has been strongly associated with Eastern cultures as it originates from China however recently, mainly due to positive medical research on the health benefits of drinking green tea, green tea has become popular in the West. Black tea also comes from the Camellia sinesis plant. Black tea leaves are oxidized in a temperature control room so the leaves turn progressively darker as their chlorophyll breaks down and their tannins are released. The length of time the leaves are left to oxidize determines the tea’s color, strength and taste. Black tea contains the highest levels of caffeine of the three and still maintains high levels of antioxidants. Over recent years, research on the health benefits of tea consumption, specifically green tea, has been widespread. While green tea has dominated the research, it is important to note that white and black teas still carry high levels of antioxidants, vitamins and minerals. In one study published in The Journal of the American Medical Association, over 40,000 Japanese men and women were studied during a seven to eleven year period. Researchers found that green tea consumption was correlated with reduced mortality to all causes except cancer. Because the leaves of green tea are less processed than other teas, green tea is believed to have the highest levels (up to 40%) of polyphenols. This antioxidant is also responsible for green tea’s bitter flavor. The best teas to drink are those brewed yourself from loose leaves or tea packets. Avoid bottled teas that often contain low levels of actual tea and many additives and sweeteners—remember, always check ingredient lists! Also, don’t add milk to your tea. Milk can affect the power of tea’s antioxidants and you don’t want to defeat the purpose of drinking tea! Plus, we try to limit our intake of dairy for many reasons. Since I always have simple black tea in the mornings to start my day, I like to explore other varieties in the afternoon. Zhena’s Gypsy Tea makes delicious 100% USDA Organic, 100% natural and 100% Fair Trade certified teas. 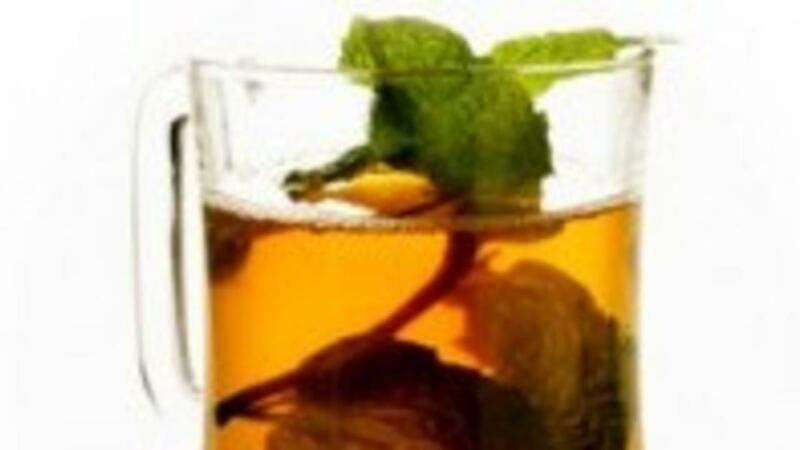 They offer a very wide variety of flavors in white, green, black and herbal teas. My favorites are the Coconut Chai Black Tea and Lemon Jasmine Green Tea. I encourage you to swap your usual dull morning cup of joe for some beautiful, freshly brewed tea! Your health will thank you! Healthiest Wines: Natural, Organic or Biodynamic?